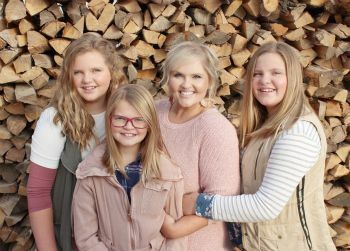 A few days ago my cute bloggy friend Emily emailed me to ask me if I wanted to participate in a little review for a brand new local house cleaning service here in SLC Utah, called ECOMAIDS. The deal was that they would come with all of their "green" products, clean my house and then I had to tell them what I thought! The ECOMAIDS team came on Thursday and can I just say... HEAVEN! The kids were at my Mom's house, I was working away at the computer and my house was being cleaned by a whole CREW of people! If you're wondering... yes, it was a dream come true. ha! The ECOMAIDS team was fabulous! Wiping down all my baseboards, doors, and even dusting the blinds! The crew was friendly, efficient, and focused on their work. 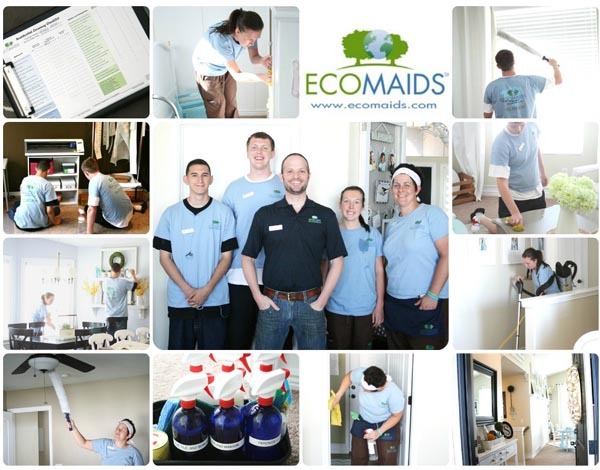 ECOMAIDS has some really great things to offer in a cleaning service for your home that other brands may not. * They are totally green: Their products are safe for kids, pets and the planet! * They can customize a cleaning plan for you and they don't lock you into a contract: If you just want the core section of your home cleaned, or simply a deep cleaning every 6 months, they are okay with that! To find out more about some of the detailed usage of ECOMAIDS cleaning products and tactics, head on over to Emily's blog and take a few minutes to watch her short video about the ECOMAIDS cleaning system. For ME, because I'm a bit of a clean freak anyway... I don't think I would need a cleaning service EVERY week, but I would definitely invest the money into the initial or deep cleaning process that ECOMAIDS offers, every few months. There is just something to be said about dust free baseboards and fingerprint-less door jams that makes a girl happy. 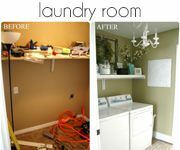 $100 cleaning service to one lucky House of Smiths reader! For only $79.00! And that INCLUDES baseboards! gah!!! LOL. So if you don't want to wait, and need your house cleaned ASAP, you can get in on this offer right now! And even better, if you WIN then you can credit your $100 winnings towards this special too, and use the rest of your credit towards another bathroom or area in your home! Just jump on over to ECOMAIDS of Salt Lake City on facebook and give them a quick little "thumbs up!" (aka: "like" their facebook page) Once you do that, come back here, let me know you did so, and then fill me in (it can just be once sentence, if you want) on what room in YOUR home needs ECOMAIDS the MOST! I will announce the winner early next week. That is amazing!!! Can I triple "like" this on FB:) my kitchen needs some serious deep cleaning, I never feel like it stays clean with a 12 month old!! This sounds great! We have microfiber cloths and love 'em. What a wonderful giveaway! Love that feeling when the house is clean...Would love to win some cleaning from Ecomaids! Our busy upstairs bathroom NEEDs Ecomaids the most! Enjoy your clean house! I would love to win this for my sister, I liked their FB page. She works so hard all day, comes home takes care of kids and is trying to get her own business up and running in the evenings. Somewhere in there she still has to clean her home. I hope I can win for her so she can have a well deserved break! What room doesn't need a maid at my house. Any room graced by my children. Big fan of your blog! I'm wondering how you do your photo collages? I have Photoshop Elements 8 on my Mac and it's been difficult finding any collage Photoshop actions or plug ins that work with my program. Thanks!! Wow, I would love to have them come to my house. 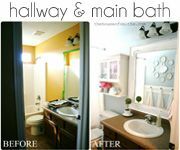 My bathrooms could really use their help! I would love this. I have little boys and my bathroom is always smelling "off." I don't live in SL County so I would give it to my mom. Oh how lucky for you! WIsh I lived in the area to enter! I would LOVE this sooooo much! WE just bought a new house and it really needs a deep clean! Every room... no joke. Crossing finger for this one. Just liked them on FB. I don't live in SL anymore, but my mom broke her leg this summer and this would be such a huge help to her! I liked the FB page! I would love everything about this service. I "liked" on FB. I've had 14 out of town grandchildren in and out for the last month along with their parents. Help!!! Fingerprints are everywhere! Mine would be the bathroom, hate to clean it. It would be great to have someone do it! i like ecomaids on fb!! we just moved into our first house! unfortunately the previous owners didn't clean before they left! yuck! i would love for ecomaids to come over and help us out!! thanks for the giveaway! 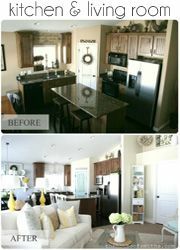 I just liked them on Facebook :-} I would love some deep cleaning in our kitchen! Or basement. We just moved in 3 months ago, but I never really "deep cleaned" either of those two. Thanks for hosting this lovely giveaway! I would actually love to win this for my sweet mom, who's house is recovering from having 8 grandkids over for nearly 3 weeks! 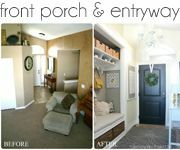 I liked Ecomaids of Salt Lake City on facebook as Wendy R. I'd love to give this to my mom who had open heart surgery in April and hasn't been able to do a "deep" cleaning for awhile now! That would be awesome. :) As for my own house, I'd love the kitchen cleaned. The room that needs it the most is whatever room I'm in at any given time ;). I liked them on Facebook! My newly-potty trained sons bathroom is the room in our apartment most in need of Eco aids...I shudder just thinking about it. What a great company, I love the idea of green cleaning. I "like" them and I would say spend the most time on the kitchen! Like them!! Can I just say my 'WHOLE' house could use a little help. We've ben remodleing, upstairs, and down. So all the little things that get left 'unclean' have been left. I liked them on Facebook and can't wait to love them in person!! I just liked them on Facebook and can't wait to love them in person!! My kitchen is in need of some deep cleaning, desperately. Thank you house of smiths! I'm super duper excited about Ecomaids. Even if I don't win, I'm calling to schedule an appointment. I have been in the market for a cleaning company. I have allergies so having a company that can do green cleaning will work perfect for me. I liked them on FB as well. Thanks again!! Thanks for this off.......Boy do I need to clean my house!!! She's a mother to two of her own as well as a foster mom and I know she could use the break and have someone else do the cleaning for a change! My whole house could use this! With twin toddlers, it's not so easy to stay on top of everything! Thanks for the chance! I added Ecomaids to my "likes" on FB. Right now my kitchen is screaming for some eco-cleaning. I "liked" them on facebook :). I'd have to say that I'd want my kitchen cleaned. Mopping is not my specialty! I liked them on Facebook and told them I came from House of Smith. I would love to win this! Oh man I would LOVE this! I, too, am a clean freak but we just did a stint of potty training, 'nuff said :) Any room in my house with clean baseboards would be amazing! what a great team! I love to live in a house so clean. Sometimes it's hard to maintain cleanliness in our home, but it's very important to stay clean so that we wont get sick. Try to avail the service of a house cleaning team if you don't have time to clean your house.